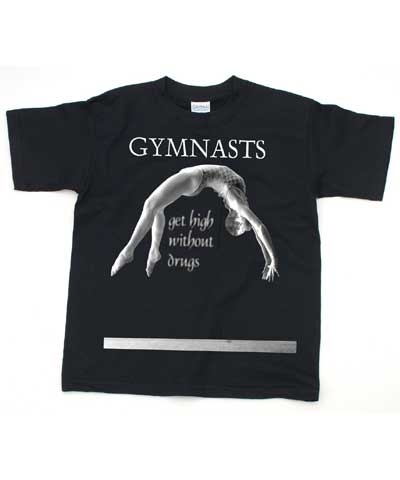 Gymnast Have More Fun dry erase poster and pens set. 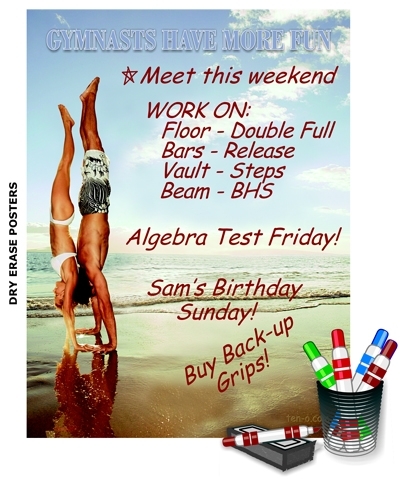 These dry erase posters are printed on PVC stock with a durable clear laminated top film. Place them on a painted walls or appliances then take them down anytime because they are backed with removable glue. 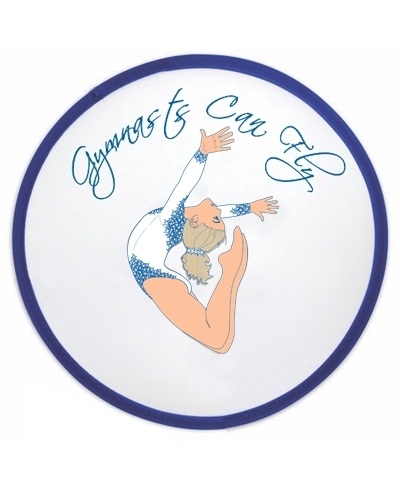 Four fun colored dry erase pens are included so you can note important reminders or dates on a gymnastic image with a "get away from it all" beach setting.